You Are Here: Home > Why Service Your Car at Toyota of Tampa Bay? Why Service Your Car at Toyota of Tampa Bay? At Toyota of Tampa Bay, our factory-trained technicians take care of your vehicle in a state-of-the-art facility with the most up-to-date equipment. Every technician undergoes rigorous training and every vehicle is serviced with genuine factory parts. Our friendly staff takes care of you in a comfortable waiting room full of amenities like free Internet, Wi-Fi and children’s playroom. Plus, you will enjoy our luxurious new lounge and theater. Schedule a service appointment online and visit us today! 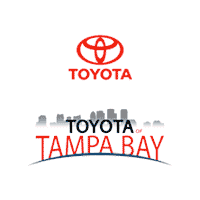 When you service your Toyota at Toyota of Tampa Bay, you inherit an array of benefits. For even more benefits, our Toyota dealership has a Loyalty Rewards Program with tons of incentives. As a Loyalty Rewards Program member, you earn 1 point for every dollar spent on service at our dealership (up to $2,999). Being a Loyalty Rewards Program member at Toyota of Tampa Bay also allows you to get access to extra special deals on parts and service. Learn more about our Loyalty Rewards Membership details and visit our dealership for your next service appointment! Our certified technicians will choose the best OEM parts for repairs or replacements in your Toyota. By using genuine Toyota parts, you are doing a service to your vehicle by using parts that were designed specifically for your specific model. The benefits of certified Toyota service are extensive. Visit our Toyota dealership in Tampa Bay to see the difference. Our award-winning Toyota dealership has been recognized for excellence in maintaining customer service satisfaction and employee training and certification. That’s why Toyota of Tampa Bay continues to win the prestigious Toyota president’s award year after year. 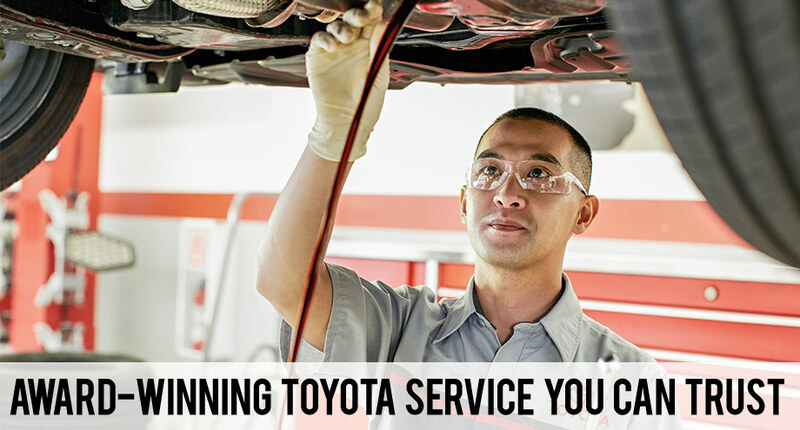 For service you can trust – take it to Toyota of Tampa Bay.